The Village of Stowe is the heart of the Stowe Community. The bustling village is home to the Town Offices, The Helen Day Art Center, The Stowe Free Library, the elementary school as well as restaurants, shopping and the rec path. A charming quintessential Vermont village with historic buildings, charming houses and of course an iconic white steepled church. While Stowe Village has a bustling international flair, it maintains a feeling of history that is uniquely Vermont. Chartered in 1763, Stowe was not settled until 1793, two years after Vermont became the fourteenth state in the Union. More than 160 historic buildings have been identified by the state; the majority of these are in the Village. Many Stowe Village buildings were constructed between 1810 and 1910. Its proximity to Mount Mansfield, Vermont’s highest peak, its rich history, and its four-season recreational opportunities, make Stowe Village the center of sought-after Vermont Real Estate. Please contact Carlson Real Estate for more information about Stowe and Stowe Village properties. Pristine commercial building on 1 acre in the lower village of Stowe. Total building square footage is 2420, the front part is finished office area (620 sf) plus a bathroom. Back portion is finished warehouse space area with few partitions. Other features are radiant heated floors, garage bay with overhead door and 2nd floor unfinished storage space. Septic is shared and subject property is allocated 108 GPD. Highest and best use is for mixed commercial use for commercial, professional, retail, or office. 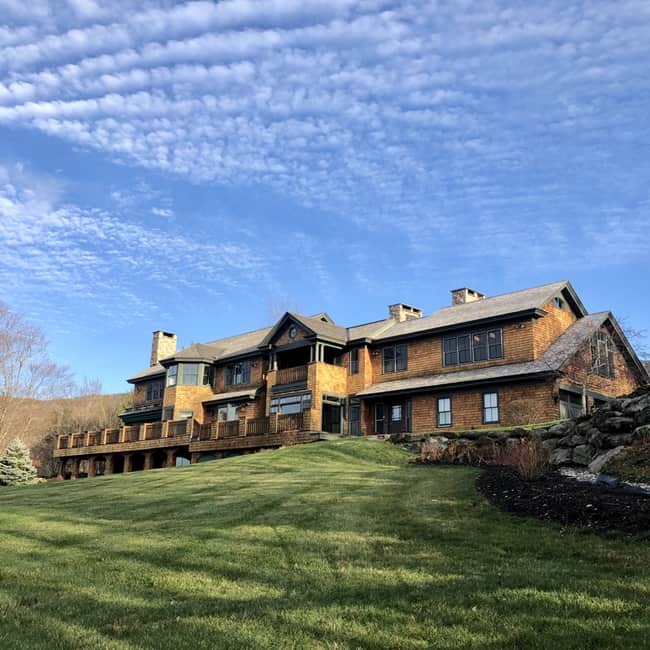 This breathtaking six bedroom estate has glorious Mount Mansfield views from every room. The eat-in kitchen equipped with a Thermador duel oven, two Bosch dishwashers, granite countertops and custom cherry cabinetry is perfect for large gatherings. The main level boasts two large living rooms with a wood fireplace in each and dining room with seating for 12 guests. After a day of skiing you will appreciate the large mudroom with radiant heat, Vermont slate flooring and heated garage. The second level is highlighted by a king master suite with sitting room and full bath. The bath has a Jacuzzi tub, granite counters and Jack and Jill sinks. The second and third bedrooms with queen-sized beds share a full bath. The fourth bedroom, has a king bed, it’s own private wood burning fireplace, bathroom and deck. The property has a large game room with foos ball table, ping pong table, field stone fireplace and flat screen television. The lower level offers additional living space with a family room and gas fireplace. There are two bedrooms on this level with a queen bed and two twins that share a full bathroom. This beautiful Vermont property has all the amenities and appointments available for your every need. 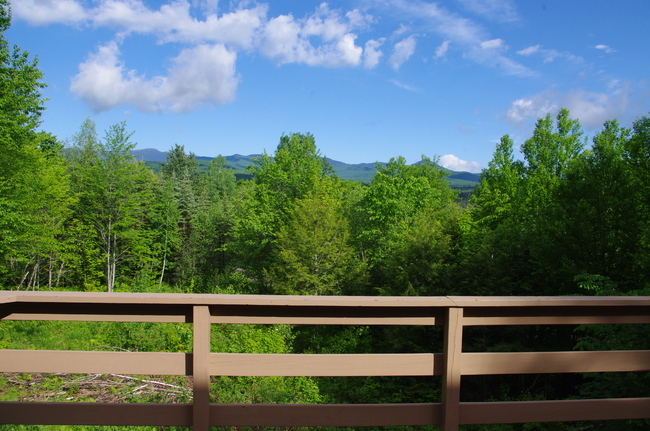 Stowe Vt. Summer Vacation Rental. This bright open Cape is conveniently located just minutes from Stowe Village. Beautifully decorated this home is the perfect Vermont getaway. Enjoy your privacy and beautiful Mountain Views while relaxing or grilling on the deck. The master bedroom, located on the main floor has a king sized bed, and en suite bath with jacuzzi tub. The other two bedrooms are located on the second floor. One of the bedroom has a queen sized bed with direct bathroom access. The other bedroom is perfect for several kids, as it is very spacious with two twin beds, both with trundles. The couch in the living room has a pullout queen bed which provides extra sleeping space.